CHAPEL HILL, N.C., February 1, 2014 Between January 1, 2012 and December 31, 2013, jobs4america recorded 176,372 new US contact center jobs created, 76,372 more than their 100,000 original goal. With this first goal met, jobs4america is ready to do it again. 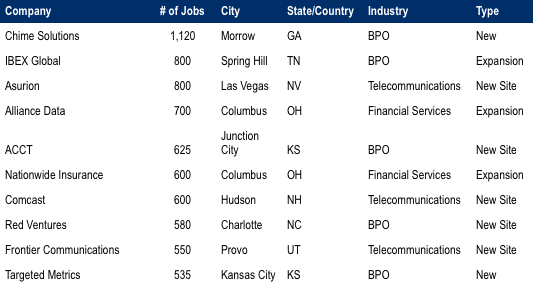 CHAPEL HILL, N.C., May 1, 2014 Between January 1, 2014 and March 31, 2014, jobs4america recorded a negative 2,050 net new US contact center jobs created. 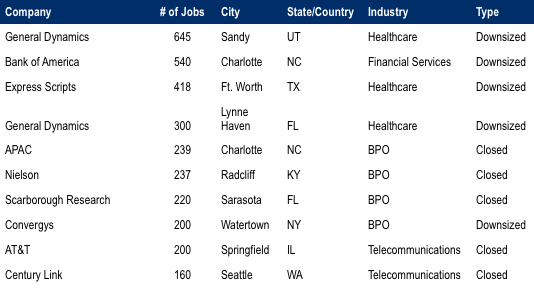 CHAPEL HILL, N.C., August 1, 2014 Between April 1, 2014 and June 30, 2014, jobs4america recorded 16,395 net new US contact center jobs created.